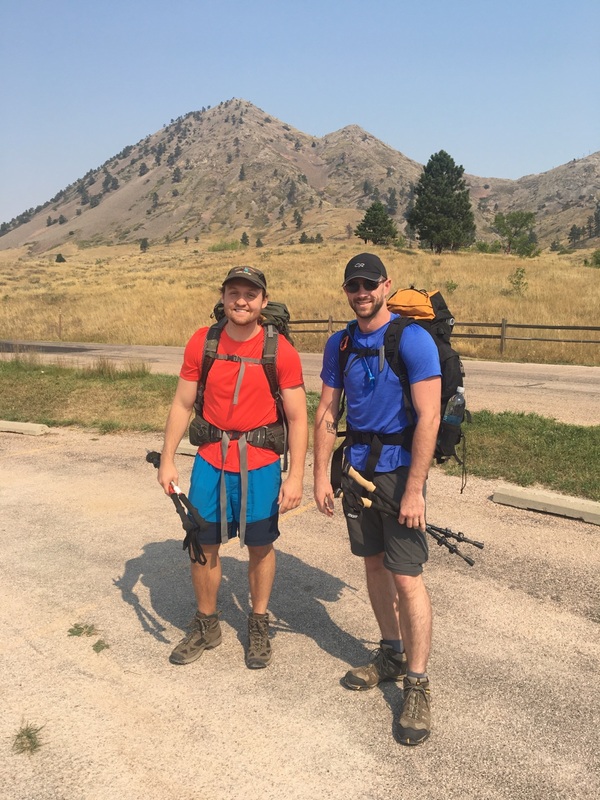 Aaron and Matt from Oklahoma backpacking the Centennial Trail. 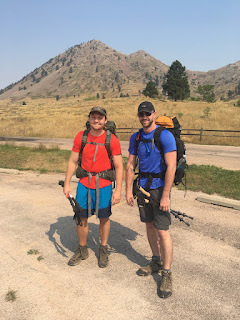 Good Luck to both of you on your 7 day hiking adventure! 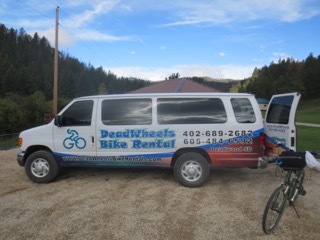 Remember, Rabbit Bikes and Deadwheels Bike Rentals are your full shuttle service in the Mickelson and Centennial Trail! Greg Thomas' & Friends' Getaway! 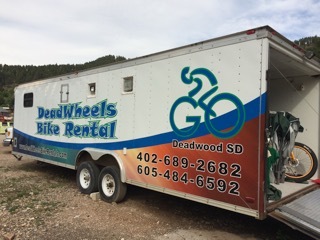 "He was a great find for us and provided the bikes as well as the shuttle service to and from our starting / ending points on the trail. He managed to get us from the extreme parts of the trail and back to Hill City." 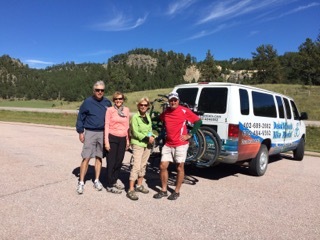 Mr. Thomas, his wife, and their friends rented bikes and the shuttle for five days. Their journey took them all the way to Hill City. Few people have taken advantage of the 20, 25, and 30-person guided tours DeadWheels offers. Not only does DeadWheels' shuttle carry bikes, it carries other vehicles; it will also carry you to the airport when your journey has ended. I look forward to posting more Riders' Raves, so email us your awesome stories and pictures to deadwheels@outlook.com, please!! Give us a good review on our Facebook page and you might see it in our blog!